We are us. This also applies to Austrians ;-). 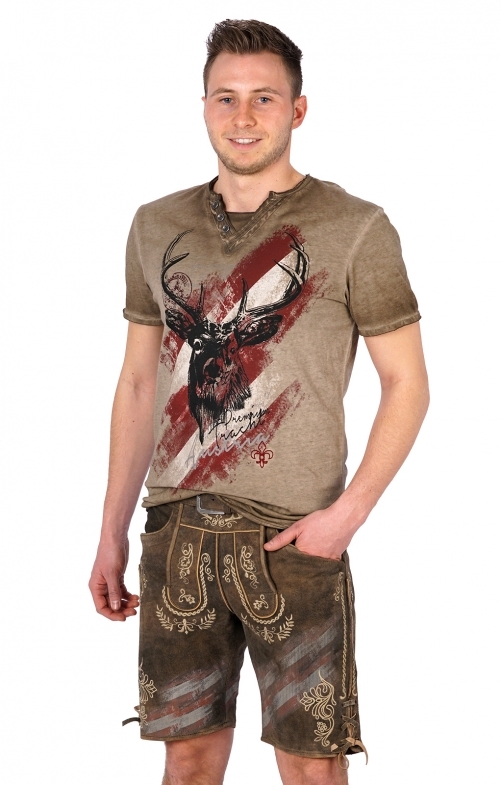 Short traditional lederhosen with the colours of the Austrian coat of arms .. Great. This is really new. High-quality traditional lederhose with belt and equipped with everything what makes up an original hearty traditional lederhose. Knife bag, embroidery, rustic buck suede, adjustable cuffs and the best thing... printed in the colours of the Austrian flag. A real unique and a very special eye-catcher. Exactly the right thing for Austria fans and those who want to become one.